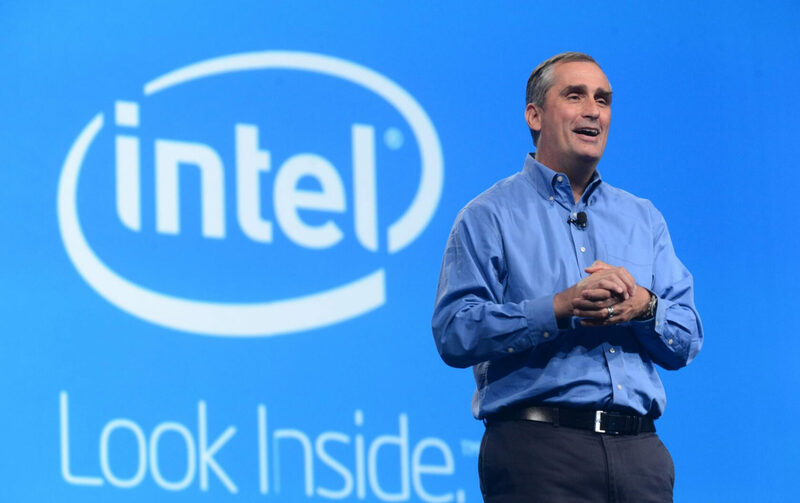 Intel CEO Brian Krzanich could be in hot water if the Securities and Exchange Commission (SEC) decides to investigate his massive sell-off of company shares and options. The stock dump came about a month before news of the Meltdown and Spectre security vulnerabilities became public this week. However, Krzanich and Intel knew of the flaws before the sale was made. According to Business Insider, Google informed Intel of the security flaws in June of last year. Krzanich sold $24 million in stocks and options back on November 29 although an Intel spokesperson claims the sale was part of a planned divestiture program (PDP) and had nothing to do with the vulnerabilities. The Intel boss only initiated the PDP sale in October meaning he was still aware of the problem when he planned the divestiture. What is even more fishy about the story is that this was not just a simple planned sale of a few stocks. Krzanich sold all of his Intel stock - except for 250,000 shares which he is required to hold as part of his employment contract - and exercised all of his stock options. It is a relatively common practice for CEOs and other executives to put PDP plans into place to avoid being accused of insider trading in case something happens to occur around the time they sell off some shares. This particular sale was filed under Rule 10b5-1(c) with the SEC which is the rule governing planned divestitures. The transaction included 245,743 in stock plus another 644,135 shares he received by exercising his options. By law, the sale was legal. However, according to the SEC filing, Krzanich only put that plan in place on October 30, 2017, meaning he knew about Meltdown and Spectre. Despite the representative stating the plan was unrelated, it certainly seems convenient for Krzanich that it occurred before news of the flaws caused shares to drop 3.4 percent on Wednesday. 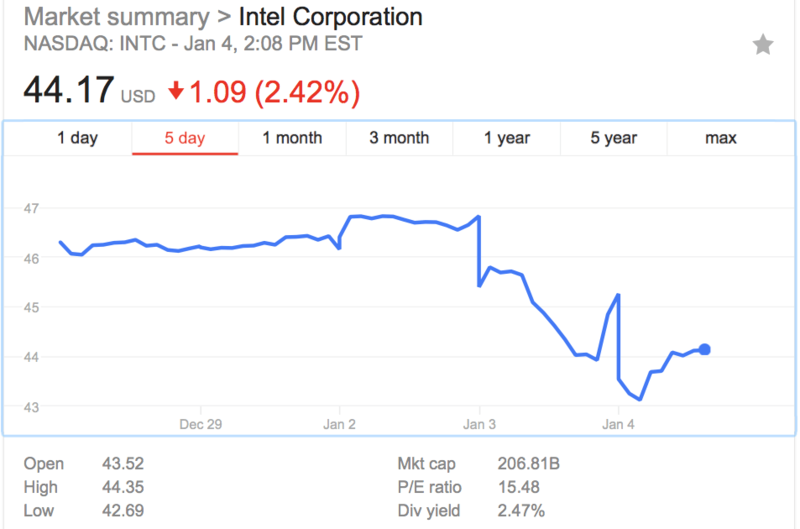 So far today, Intel is down another 2.42 percent with less than three hours of trading before close. Even the Motley Fool was reporting back in December that the sale was raising red flags for them. "Given that Krzanich seems to have sold all the shares he could save for those he is required by Intel's corporate bylaws to hold, the impression that I get is that Krzanich doesn't have a ton of faith in the potential for Intel stock to appreciate." An SEC representative refused to comment on whether or not the commission was looking into the sale. Interesting. Insider trading charges - perhaps? Is there ONE filthy rich person that doesn't try and **** the system in some way? Reehahs, emmzo, Stark and 1 other person like this. It really shouldn't be a grey area. The government should vigorously pursue suspect insider trading like this. White Collar crime goes largely unpunished in America, all the while it's impact is absolutely massive. senketsu, Reehahs, SirChocula and 1 other person like this. I also mentioned this on another website, the financial term 10b5-1 which the alleged CEO used, can only be established when he's not aware of any non-public material/info. Apparently, he sold his shares after the security researchers informed intel about the flaws. So yeah, its a White Collar crime indeed. Wow. No Intel stock for me. Ill stick with AMD & Nvidia thank u very much. Who in their right mind would buy Intel after knowing their own CEO sold ALL his stock? Who in their right mind would buy Intel after knowing their own CEO sold ALL his stock? That really doesn't have anything to do with their products now does it. To be fair, neither does the stock market. It's perceptions, reputation and guesswork generally. 1. google informed Intel in June 2016. 2. intel ceo sold most of his intel stocks in November 29, 2016.
now if I were the ceo, I'd be furious if I were not allowed to sell my stocks even after ~5 months since the vulnerability was discovered/reported. June 4, 2015: Krzanich adopts a new Rule 10b5-1 trading plan. Such plans are regularly used by company executives to establish automated stock sale calendars, so as to eliminate accusations of insider trading. April 22, 2016: Krzanich adopts a new Rule 10b5-1 trading plan. February 10, 2017: Krzanich adopts a new Rule 10b5-1 trading plan. "The security researchers presented their findings in confidence, and we and other companies worked together to verify their results, develop and validate firmware and operating system updates for impacted technologies, and make them widely available as rapidly as possible." October 30, 2017: Krzanich again changes the terms of his Rule 10b5-1 trading plan. The prior two changes had come after 10-month periods. This one came after an 8-month period. November 29, 2017: Krzanich sells more than $39 million worth of Intel stock, in accordance with the revised trading plan adopted just weeks earlier. It represents the sale of all but 250,000 shares, which is the minimum amount that Intel requires Krzanich to hold. Common sense says if the 10 month plan would follow through he would've ended up selling stock smack into January. But alas he sold it cheaper than it is now AFTER the info was made public. The public wasn't informed though, so those buying the stocks were cheated. senketsu and Evernessince like this. There is no stock exchange anymore. The humans are there only for the ponzi scheme show for the dumb investors. The computers have taken over and are running the show. REMEMBER that the stock market was very high just before the 1929 "crash" . They are running that same program today. And don't even ask about "digital" currencies. These backdoors have been in the chips for decades. How were they cheated when the share price is actually bigger today than when he dumped them off? Furthermore it's not mandatory for the company to inform the public on "internal" issues. It's common sense to let the public know when a fix is available because letting them know in advance creates the s**tstorm that we currently have. With an avalanche of baseless class-action suits that will be thrown out of court just because some people think that this is a good way to make a quick profit. This practice is disgusting. Oh and on this note Google MS and Amazon would be more entitled to a lawsuit against Intel not a bunch of penhandlers from California and Oregon.